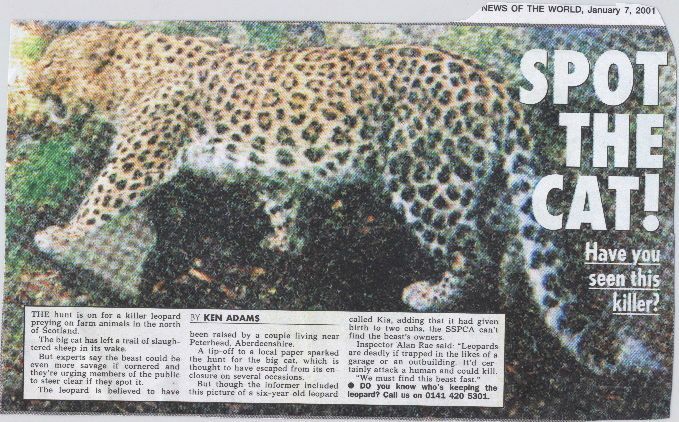 Kia the Leopard was reported as an escapee in January 2001. The SSPCA could not trace the animal's owners and since then we have no more information. See Spot the cat for additional information. Was this report genuine of just a hoax? It might be worth phoning the number on the picture to find out if the News of the World have any further information.